Swarovski's 'Tropical Paradise' SS13 collection takes inspiration from Rio de Janeiro creating a colourful and exotic range of enchanting pieces. In conjunction with the campaign Swarovski have launched their first fashion inspired travel guide featuring numerous exotic destinations inviting you to join them on a tropical journey! 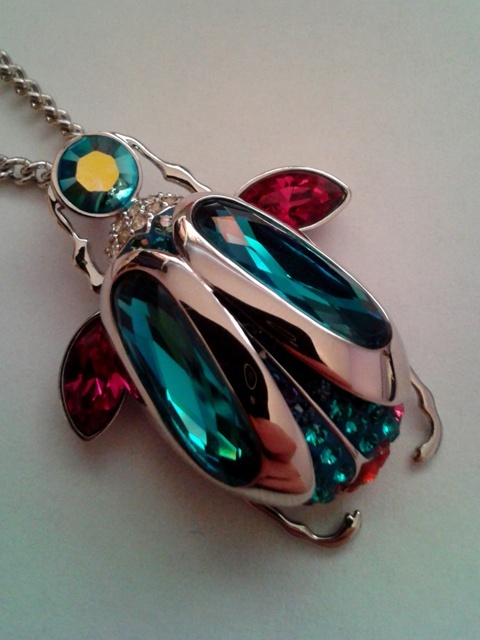 Inspired by tropical forests the 3D beetle pendant necklace sparkles with colourful Swarovski crystals. It comes on a palladium-plated chain. I love how the pendant glistens in the sunshine and the coloured crystals really catch the light. With spring looming I ignored the chilly temperatures this weekend and was inspired by the tropical colours in the pendant and the thought of faraway lands to dig out my stash of summer clothes to style this key piece from the collection. 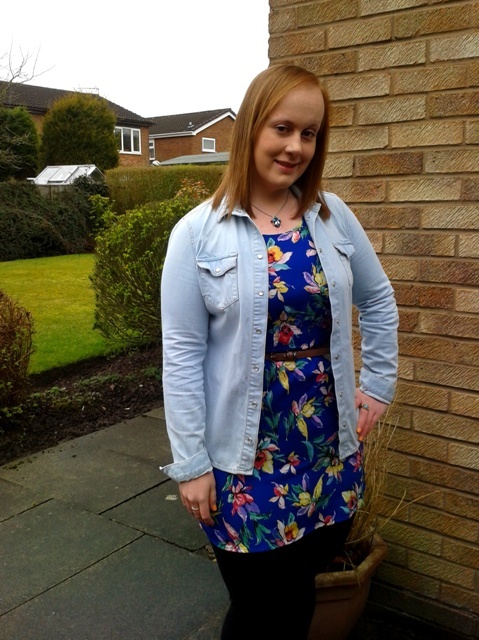 I chose a tropical print floral dress to compliment the tropical paradise theme and bright colours in the pendant. Worn over leggings and paired with my favourite denim shirt layered over the top (.. well it is still March!) I felt like summer was on its way! 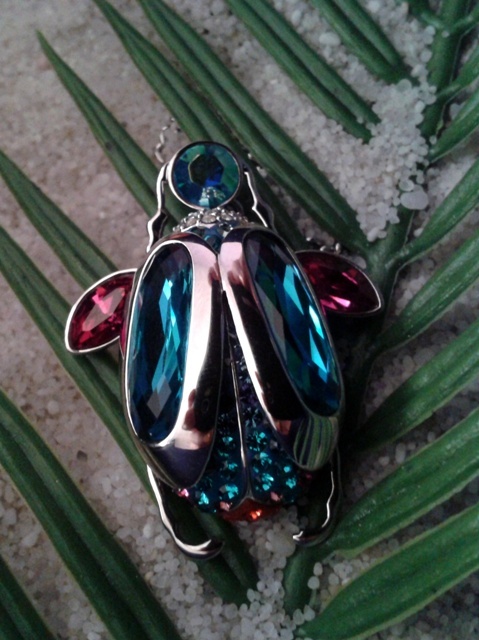 Swarovski are generously offering one of my readers the chance to win your own crystal beetle pendant necklace! Simply fill in your details below to be in with a chance of winning. The competition closes on Monday 18th March. What do you think of the Tropical Paradise collection? How would you style the pendant? pretty! wonderful way to cheer anyone up in the ever present gloomy weather!